Payton Abbott sets up for a bunt. MACOMB, Ill. — The Western Illinois Fighting Leathernecks faced off against the 23rd ranked Missouri Tigers in a double-header on Wednesday. The Leathernecks fell to the Tigers in both games. Western lost the first game by a score of 7-0, and the second game by a score of 2-0. It was not the outcome Leatherneck fans wanted, but this non-conference matchup is going to prepare them for arguably their toughest part of their schedule. The first game against the Tigers was a rough one. Western Illinois was riding a hot streak into Wednesday’s game, and things were looking good for the Leathernecks who had their ace, Emily Ira, on the mound for the first matchup. However, it was an off day for the star pitcher. She started off the game strong, but then struggled the second time around against the Tiger lineup. The Tigers were firing on all cylinders as they kept on getting run after run. The Leathernecks failed to enhance their runs against the Tigers. Eventually, the Purple and Gold pulled Ira late in the game, and they replaced her with Payton Abbot. However, the barrage did not stop, and the Leathernecks could not find a way to stop the Mizzou offense. Western Illinois lost the first game by a score of 7-0. The second game was a nail-biter till the end. It was a pitching duel between Brooke Stulga and Madi Norman. Both pitched complete games, but Norman was backed with a clutch run. Stulga had her best performance of the year. She pitched seven innings, and only allowed two runs on four hits. However, her performance was not enough as Norman put up a very similar stat line only giving up four hits, but no earned runs. Missouri was one of the few teams this year that contained the Leatherneck offense this season. 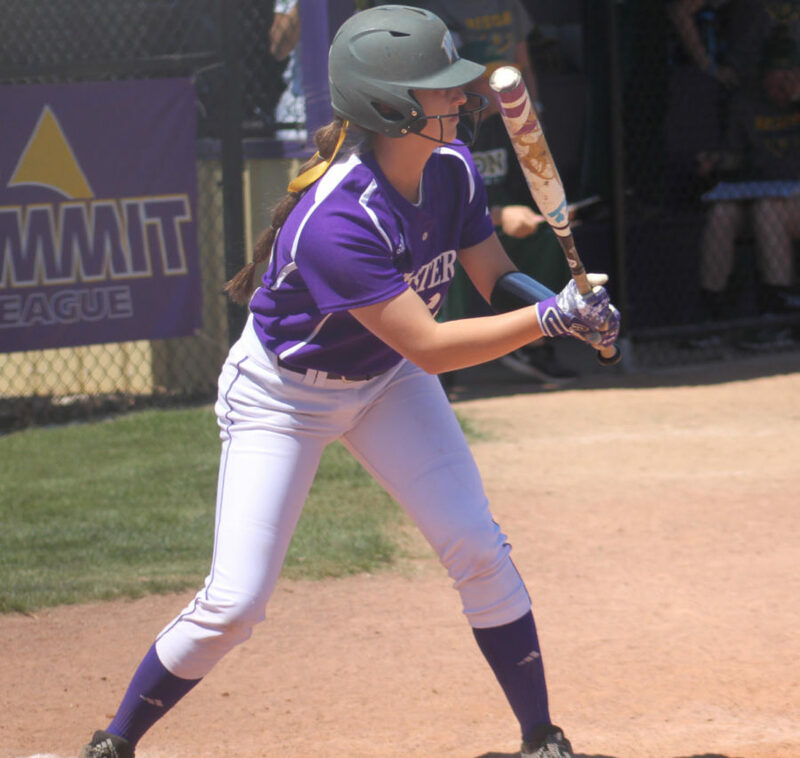 The Leathernecks lost the second game by a score of 2-0, and got swept in their two-game series. Despite the loss, Western Illinois can use this series to help them prepare for South Dakota State University this upcoming weekend and for North Dakota State University the following weekend. These two series’ will decide whose team will be in first place in the Summit League Standings going into postseason play. The Leathernecks sit atop the Summit with an 8-1 record, but still have a challenging road ahead. Missouri may have won the series, but the Purple and Gold will pick up the pace in the near future.